Are you wondering what makes an air purifier and dehumidifier different? Or how about what makes them similar? 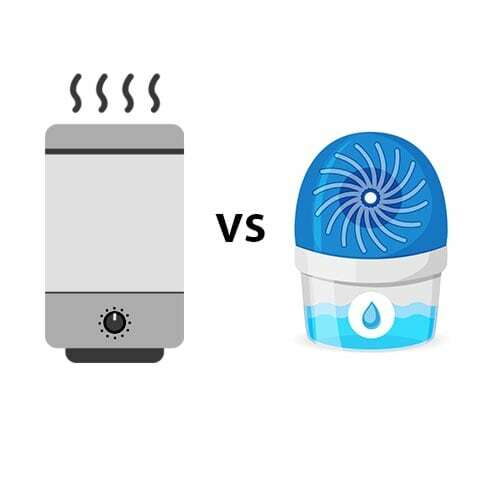 In this post, we’re going settle the air purifier vs dehumidifier debate. While both devices are great for people who have allergies or asthma it can be hard to figure out which is the better buy for your own health. That’s because both air purifiers and dehumidifiers work to minimize allergens that are present in a room. When it comes to how these products accomplish this shared goal, there are differences. An air purifier cleans the air by circulating the room’s air through a series of filters. Airborne allergens and contaminants like dust, mold spores, pollen and smoke get caught in the filter. A dehumidifier pulls moisture in and lowers the room’s humidity levels. In turn, microbes and mold that thrive in damp and humid environments cannot survive. The chart below gives you a quick glance at how these two products compare. For a more in-depth answer to this topic, as well as tips on how to choose the best device for your needs, read on. Note: If an air purifier sounds like something you need, take a look at our post on the top rated air purifiers to see what’s available. We also have a guide on the best air cleaner with a reusable filter if you’re looking to save the most money. Some people think that air purifiers and dehumidifiers are interchangeable, but they’re really not. We’ll outline why this is the case below. 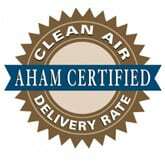 An air purifier’s job is to remove harmful airborne contaminants that are present in your home’s air. This includes particles such as dust, allergens, bacteria, smoke, pet dander, and mold spores. Air purifiers remove these contaminants by circulating your home’s air through a series of internal filters. An air purifier with a HEPA filter can trap and lock up to 99.97% of airborne contaminants down to 0.3 microns in size. Also, if your air purifier has an Activated Carbon Filter, it can remove damp and musty smells that are caused by mold and mildew. It’s important to note that an air purifier doesn’t reduce or control your home’s humidity levels. It only recirculates the air inside a room while removing the pollutants. A dehumidifier’s job is to reduce the excess moisture that may be present in your home’s air. The ideal range is to be below 50%. It does this by sucking moisture out of the air and collecting in inside an internal bucket. 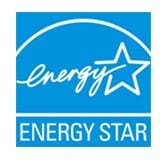 Dehumidifiers don’t filter or clean your home’s air like an air purifier. They just reduce moisture levels. However, as humidity goes down, you should notice a less damp feeling indoors as well as any musty smells that come from mold and mildew. If you have trouble with dust mites, lower humidity can also get rid of these pests too, since they need moisture to grow and thrive. Additionally, homes with less humidity feel cooler. The more moisture present in the air, the hotter it feels. Which is Best for Your Needs: An Air Purifier or Dehumidifier? You want to get rid of odors caused by mold, pets, smoke, etc. Should you use an air purifier or a dehumidifier in your basement? It depends. If you want to get rid of dampness and a musty odor, then it’s best to use a dehumidifier. If you want to have clean, fresh air to breathe, then use an air purifier. Air purifier or dehumidifier for asthma? An air purifier is better for asthmatics because it removes the airborne contaminants that cause asthma attacks and difficulty breathing. With an air purifier, you’ll cut down on the indoor triggers that irritate your respiratory system. Air purifier or a dehumidifier for allergies? While both devices can help allergy sufferers, an air purifier is the best choice. Air purifiers clean the air of allergens, mold spores, dust, bacteria, and pet dander. A dehumidifier can only reduce the spread of dust mites and mold growth. Air purifier or dehumidifier for mold? While both devices can help with mold, a dehumidifier is the best choice. Dehumidifiers remove excess moisture from the air that enables mold to reproduce and grow. An air purifier can only remove the mold spores in the air and not fix the root cause of the problem. Air purifier or dehumidifier for dust mites? Both devices can help with dust mites. An air purifier will trap and remove dust from a room, which eliminates the food source that dust mites need. A dehumidifier will lower the humidity levels so dust mites have trouble thriving in the first place. If you have humidity issues indoors, it’s best to use both an air purifier and dehumidifier for maximum protection against dust mites. Can you use an air purifier and a dehumidifier in the same room? Yes, you can use both devices in the same room. The air purifier will clean your room’s air of contaminants like dust, allergens, mold spores, bacteria, and more. The dehumidifier will pull excess moisture out of the air which makes it harder for these contaminants survive or come back. By now, you should have a good idea on which side you’re on with the air purifier vs dehumidifier debate. We hope you find the right product for your specific needs after reading this guide.